When I grow up I want to be a pirate. This picture isn’t accurate but it looks nice so I’ll keep it. Pirates were often referred to as buccaneers because many of them had day jobs as meat smokers when pirating was out of season. The smoke from the buccan, the nifty piece of kit used to smoke meat and where the salty sea dogs got their name, would permeate through their clothes and skin until pirates became synonymous with smoked meat. Arrrrrrrrr! Piper puppy hound dog. She eats flies. She’s pretty awesome. The problem with conventional smoking is that the heat invariably cooks or melts whatever is being smoked, so I decided to build a mini cold smoker and see if I could smoke some cheese. And so that it doesn’t melt, I’ll be cold smoking cheese. I took a large bowl and filled it with water and placed two smaller bowls inside, one facing up and the other facing down. Set phaser to freeze. What I had left was a giant ice block that I had to chisel my bowls out of and drill some small holes through the centre. My giant ice-block, complete with spoon to keep lid from touching the food. 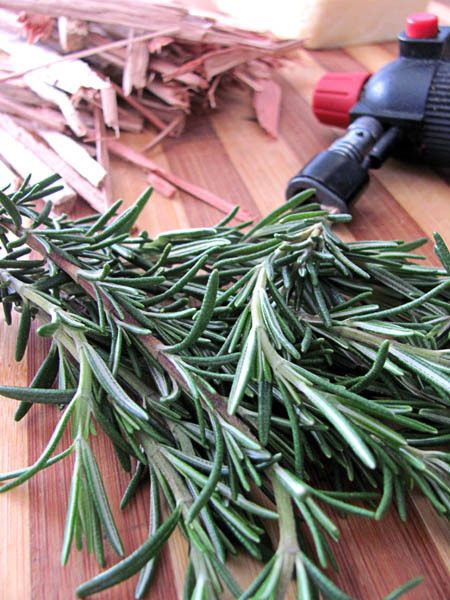 The idea is to put freshly lit wood chips and fresh herbs in the base and let the smoke cool as it travels upward into the second chamber where the cheese is. To keep the smoke confined I first used cling film but it was a little annoying as the ice melts and lets out precious smoke. 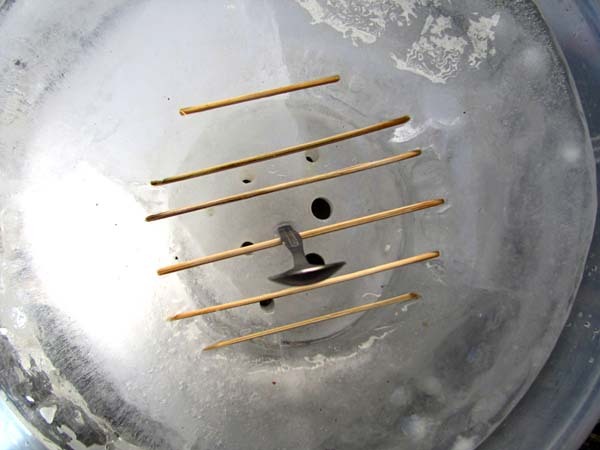 What works just as well is to use the bowl that you used to freeze everything in, and put it on top – its a perfect fit and will keep most of the smoke in. 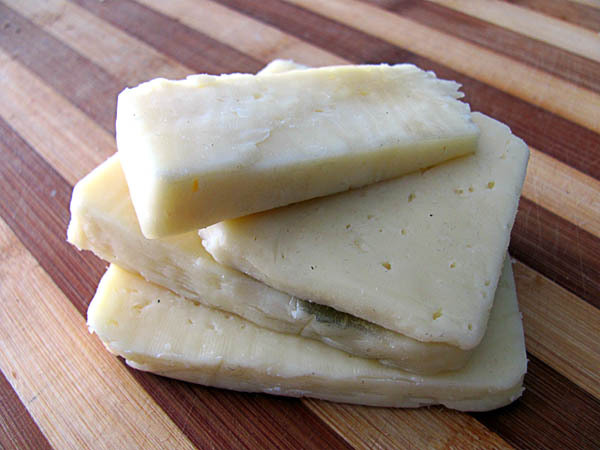 I used Fiddlers cheese, which tastes like a sweet-milk with a mature cheddar after twang. I picked it mainly because it was quite a soft light coloured cheese, and in case my experiment didn’t work I’d still have some good tasting cheese. Although let’s be honest- will cheese ever go to waste? 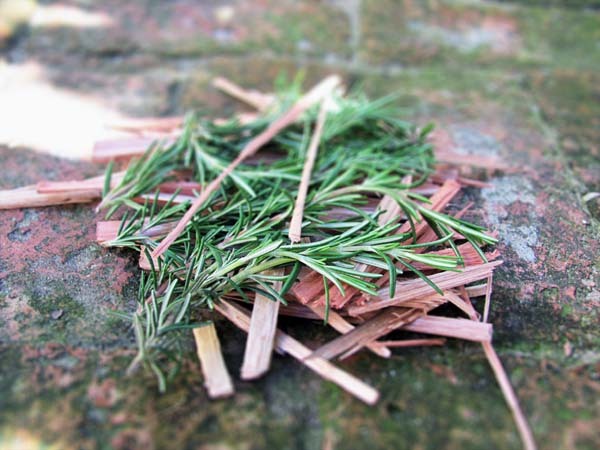 Had to light the wood and rosemary a few times and was very worried that it wouldn’t work and that I’d wasted all my time chiselling away at an ice block for nothing, although I have to admit I did find it quite therapeutic. To my immense relief and satisfaction, and in true pirate fashion, the cheese was indeed sufficiently smoked. It’s surprisingly potent! 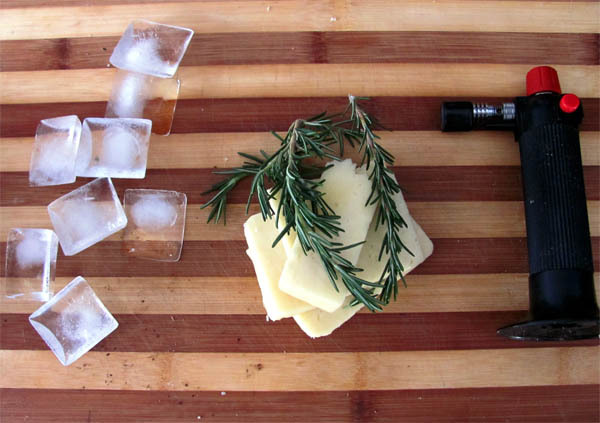 Rosemary smoked Fiddlers cheese – that bread board has never been so lucky. Other than cheese, you could smoke salt, fish, etc. 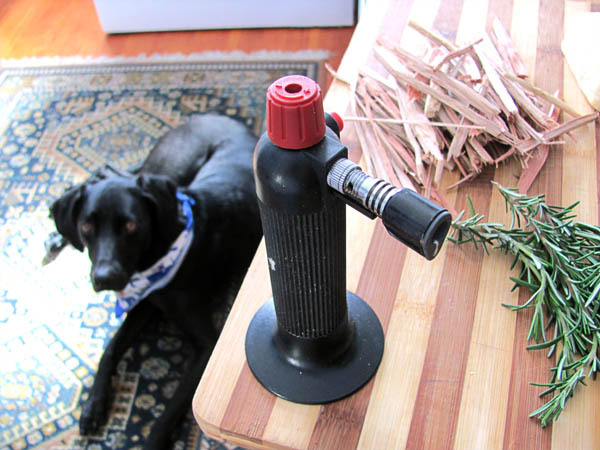 The only thing to remember is that this method will not cook what you’re smoking. Have fun.